This seminar offers a full day of experience and learning - and immerses you in a world of energy, aroma and high vibration! Essential oils are by their very nature of a high vibration - and this energy signature is as different for each oil as its chemical components. We use this energy all the time when we use oils, but this course focuses upon the important effect they have on the human biofield. They can be used on or off the body to aid rebalance of the energy field, and we can use assessment techniques to decide which ones to use. By the end of this seminar you will have a whole new set of skills to use with your clients to deepen existing treatments, or offer a completely new way of using oils. 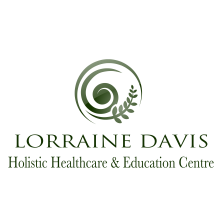 Develop your skills in assessment of the energy field and offer your clients a beautiful subtle and healing treatment - without even touching them physically.